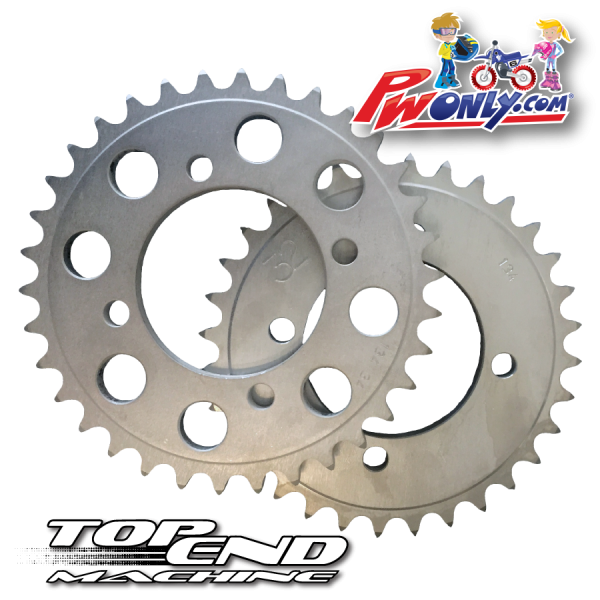 New light weight aluminum rear sprocket from TOP END MACHINE. The 32 tooth sprocket is a stock part but in light weight aluminum! 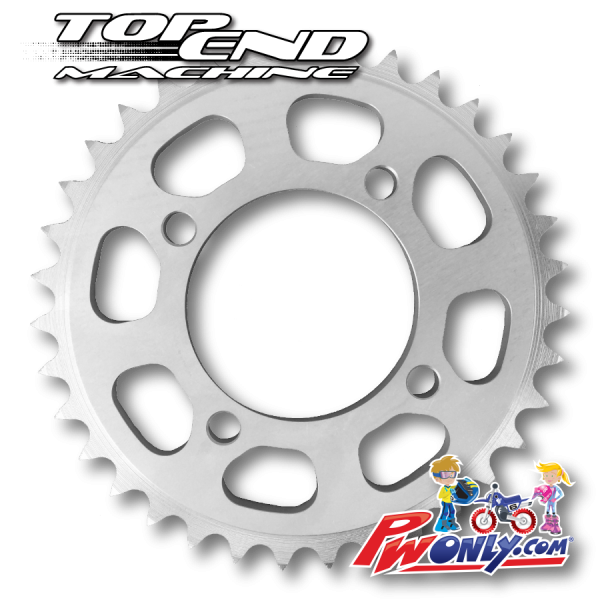 The 34 or 35 tooth sprocket is slightly larger and will improve low end performance. Add in the Front Sprocket for an extra $10.99. 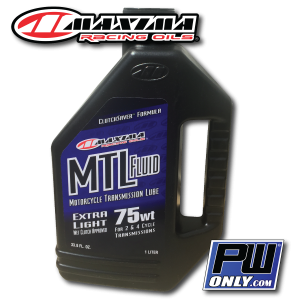 Add Maxima Chain Guard Lube (15oz) for an additional $5.00! New light weight aluminum rear sprocket from TOP END MACHINE. 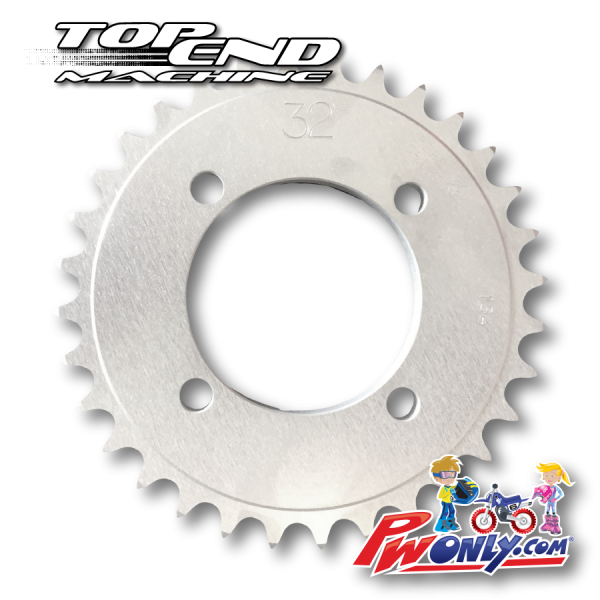 The 32 tooth sprocket is a stock part but in light weight aluminum! 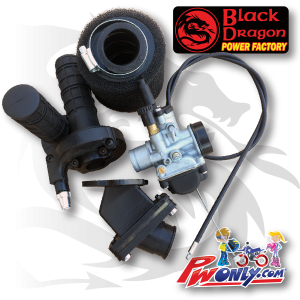 The 34 or 35 tooth sprocket is slightly larger and will improve low end performance. 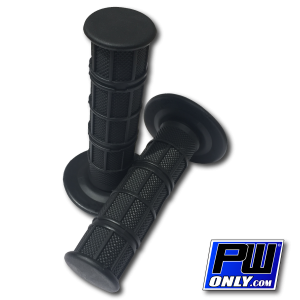 Add in the Front Sprocket for an extra $10.99.